The BMW 3 Series debuted more than 40 years ago. 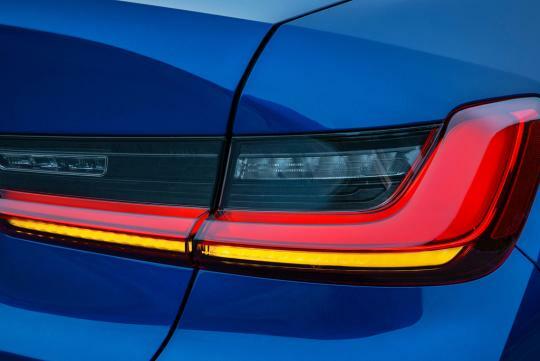 After months of teasers, spy shots and camouflaged prototypes, we have our first real look at the car as well as details on both the 330i and M340i, pricing and an on-sale date of March 2019. Both cars are powered by an updated 2.0-liter turbocharged inline-four making 255 horsepower and 295 pound-feet of torque. That's 7 horsepower and 37 pound-feet more than the current model. BMW says the turbo, direct-injection system and variable camshaft timing system have all been updated. The car gets a new higher-flow fuel system and a lighter crankshaft, too. BMW rates the 0 to 60 mph time at 5.3 seconds. Next spring, the 330i will be joined by the six-cylinder M340i and M340i xDrive. 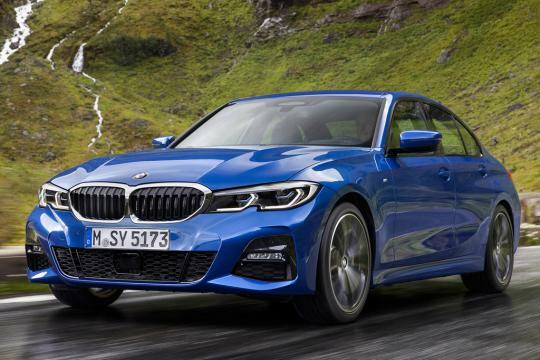 The 330e plug-in hybrid will arrive sometime in 2020. 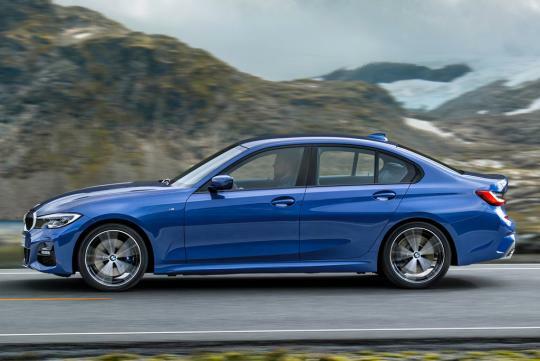 The M340i xDrive's turbo inline-six makes 382 horsepower and 369 pound-feet of torque, up significantly over the outgoing model. It can hit 60 mph in an estimated 4.2 seconds. BMW hasn't gone into many details on the updated inline-six, so expect more news on that engine closer to launch. Both the 330i and M340i will be paired with an updated eight-speed automatic – no manual will be available. The eight-speed has revised gearing with a wider spread and shorter low gears. The latter should help the car feel quicker at low speeds. If the navigation and active cruise control are being used, the transmission uses info from those systems to find the optimal ratio for the road ahead. It can downshift early to slow down before grades or hold a gear through a series of fast corners. 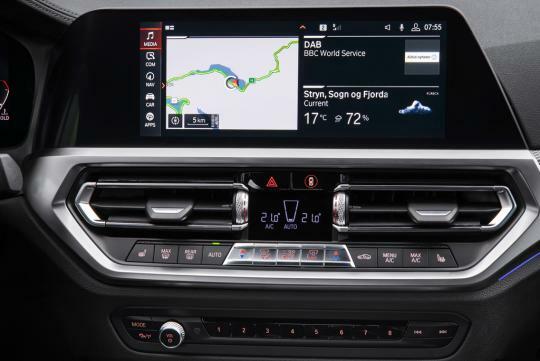 The 330i and M340i both come with launch control and auto start/stop systems. BMW says the updated xDrive all-wheel drive system has been re-tuned for better performance. It's a rear-biased system that adjusts where the power is sent through an electronically controlled multi-plate clutch in the transfer case. When all-wheel drive isn't needed, all of the car's torque can be sent to the rear. The G20 is 2.9 inches longer, 0.6 inches wider and 0.5 inches taller than the current 3 Series. The wheelbase is up 1.6 inches while the track has increased 1.7 inches in the front and 0.8 inches in the rear. Despite growing in every dimension, the new model is actually lighter than the outgoing one by as much as 121 pounds. The new car uses aluminum for the hood and fenders and for components like the spring struts and engine control frame. The car's drag coefficient is down to 0.26 thanks to improved aero and the use of active shutters on the grille lower air intake. Body rigidity is up 25 percent, and the 2019 still maintains a 50:50 weight distribution. 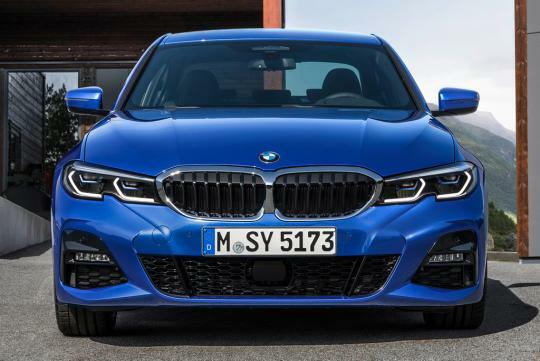 Spring rates on both the M Sport suspension and Adaptive M suspension are up 20 percent. A 3 Series with M Sport suspension, including those with all-wheel drive, sits 0.4 inches lower than other models. An M Sport differential is standard on the M340i and optional on the 330i. Visually, the new model is an evolution of the current car, taking a few notes from the larger 5 and 7 Series BMWs. The twin kidney grille is much larger than before and features sharp creases in place of the rounded shape on the current car. The two elements are closer together, too, with just a small strip of chrome separating the two inlets. The rest of the bodywork features similar creases, especially the hood. 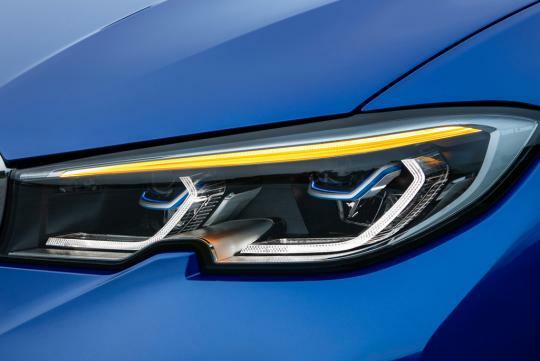 LED lighting is standard, though there are options to add adaptive headlights and LED driving lights. Like the exterior, the new 3 Series interior adds creases where there used to be curves. It still has a wide, driver-focused feel, though everything is sharper than before. Even the digital instrument cluster drops the round dial surrounds for a more angled look. Three trim levels — Sport, Luxury and M Sport — will be available at launch. The packages adjust things like the suspension as well as the bumpers and interior trim. 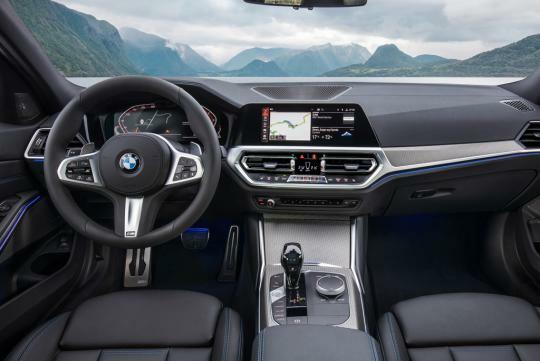 Other interior features include an updated version of BMW's iDrive infotainment system and more smartphone connectivity. 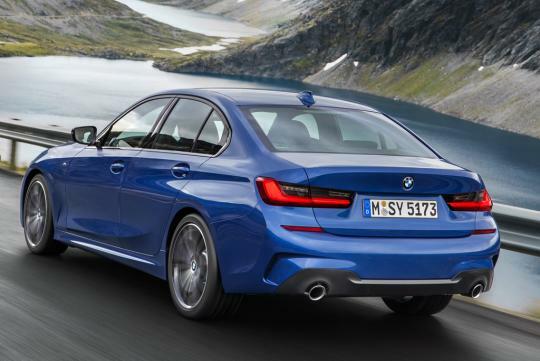 on both the 330i and M340i, pricing and an on-sale date of March 2019. Both cars are powered by an updated 2.0-liter turbocharged inline-four making 255 horsepower and 295 pound-feet of torque. This is clearly wrong. The M340i will have a turbo 3.0L inline six, and the power output will be 385hp. You're welcome to check my figures before including them (you should, really), but what you wrote in the quoted section above is incorrect.